Cloud communications provider Fuze last week announced not only its latest release, 5.0, of the Fuze platform, but also a new round of funding. 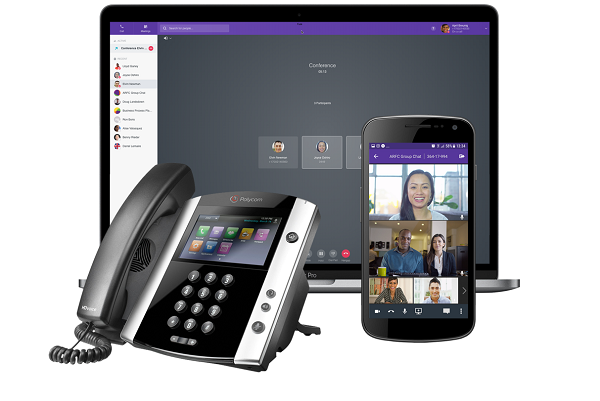 Fuze 5.0 marks a "milestone" expansion of the company's offering, enabling users to communicate across all modalities -- voice, group interaction, video, content collaboration -- and no matter the device used -- desk phone, desktop, laptop, smartphone, or tablet, as Michael Affronti, VP of product at Fuze, told me in a briefing. In addition, because Fuze has observed a strong uptick in enterprise adoption of Chromebooks for information workers, Affronti said, Fuze 5.0 includes support for Chrome OS-enabled devices. New workstream collaboration capabilities supporting third-party participants in projects or teams, as part of the company's operating principle that there is "little boundary between myself and coworkers talking inside Fuze and talking to people outside of Fuze," Affronti said. Additionally, the 5.0 release marks the fruit of Fuze's partnership with AppNeta, an end user performance monitoring solutions provider. Through this collaboration, announced in March, the company has introduced Fuze Real-Time Network Monitoring, a solution enabling enterprise IT to identify and fix problems proactively. One of the most complicated aspects of adopting cloud communications is understanding potential impact on network performance, Affronti said. Prior to partnering with AppNeta, the Fuze team would perform a network assessment to determine whether the customer needed to make changes at any locations before deploying Fuze. But even with this level of preparation, issues would all too commonly arise post deployment, pointing to the need for on-going monitoring, Affronti said. Perhaps the company would add a new app without Fuze's knowledge or change ISPs -- difficult to solve issues that would require a site visit, he added. But with AppNeta, Fuze gains better control, Affronti said. It now places AppNeta monitoring devices at all customer sites with 50 or more employees, providing ongoing alerts pre-, during, and post-implementation on the health of the network. Besides announcing Fuze 5.0, which will be generally available in the third quarter, Fuze last week said it completed a $150 million financing round, bringing Fuze's total funding to $484.8 million. Fuze will use the new funding to accelerate product innovation and global expansion, Fuze CEO Colin Doherty told me in an email exchange. The funding will, in part, go toward developing enhancements associated with the new Fuze 5.0 platform, Doherty said, giving a nod to areas beyond collaboration that give enterprises insight into workforce productivity. "Business communications is going through a once in a generation shift -- from on-premise[s] to cloud, from physical to digital, from desk phones to smartphones and tablets," Doherty said. "Millennials are entering the workforce looking for the same kind of tools they use in their personal lives. ... With such a viral market opportunity, companies -- including Fuze -- are experiencing greater capital infusion to support product development and give enterprises the tools to enhance productivity, enable mobile-first workflows, and support the entire business ecosystem." Summit Partners led this latest funding round, which drew participation from Bessemer Venture Partners and other existing investors, Fuze said.